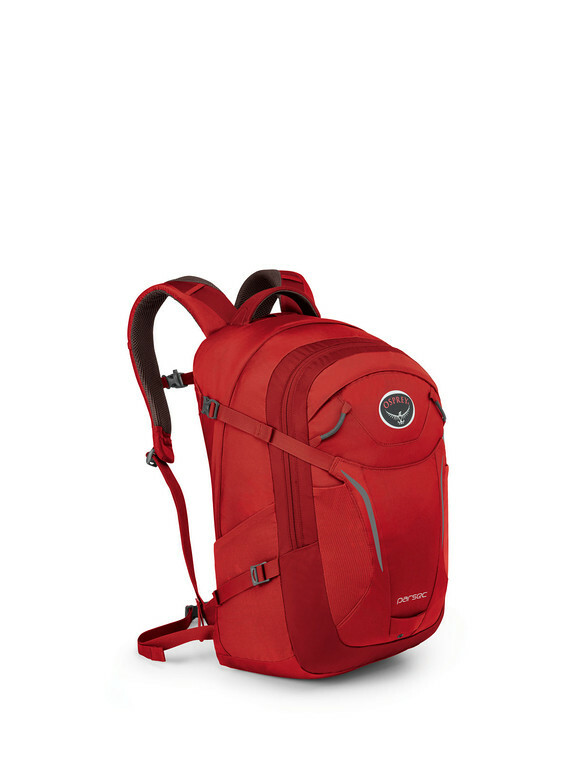 Whether you need a daypack for an excursion downtown or a walk in the woods, reach for Ospreys Parsec. The breathable reverse spacer mesh harness and backpanel provide comfort even when the pack is fully loaded with gear, books or heavy electronics. A removable webbing hipbelt adds extra stability for heavier loads and vanishes when you’re traveling light. Inside the panel-access main compartment, you’ll find laptop and tablet sleeves to protect your devices. Storage options include side and front stretch mesh pockets and a front panel fabric shove-it pocket. If your adventures keep you out past dark, clip a blinker light to the packs rear attachment point for added nocturnal visibility. 1892 in3 / 31 l | 20h x 11w x 12d in. | 1.64 lbs.